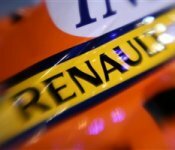 The ING Renault F1 Team has decided to bring forward the official launch of its new car, the R29, to Monday the 19th of January 2009. The presentation of the car will now take place at the new Algarve Motor Park in the south of Portugal from 16h00 to 18h00, instead of the previously planned launch at Paul Ricard. The Renault R29 will bemaking its debut at the same track the following day in the hands of the team's race drivers, Fernando Alonso and Nelson Piquet. The presentation of the car will include the traditional press conferences with Flavio Briatore and the drivers. There are also plans for a technical briefing with Bob Bell, Technical Director of chassis operations, and Rob White, Deputy Managing Director of engine operations, to explain the approach and design philosophy used in the conception of the ING Renault F1 Team's new challenger.